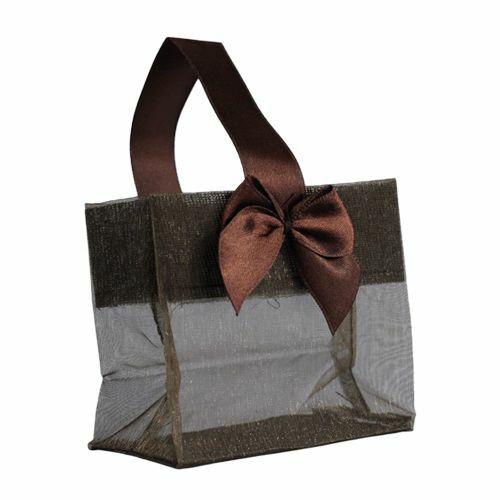 A tote is the choice of every contemporary woman. 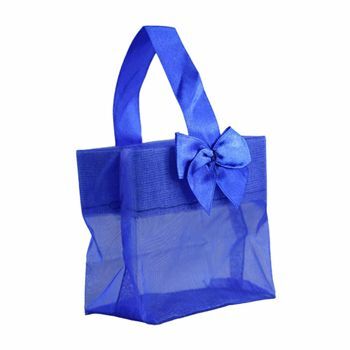 It’s an attention seeker that never fails to impress. From a birthday party to the everyday work routine, carrying a sheer tote as your style statement defines your fashion sense remarkably. 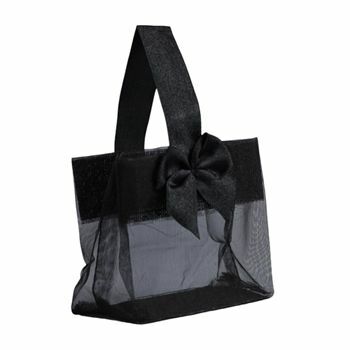 Also, the beautiful satin handle of the sheer tote is the perfect addition to its elegance. 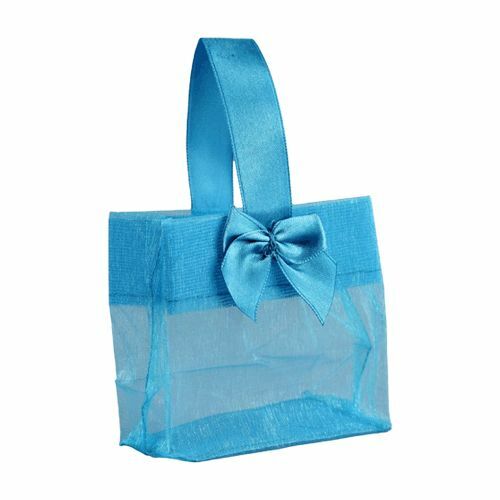 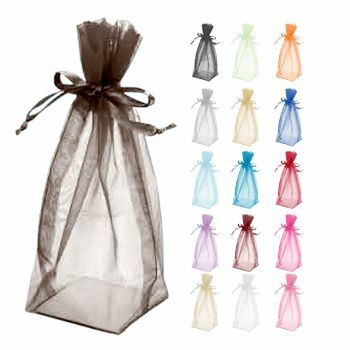 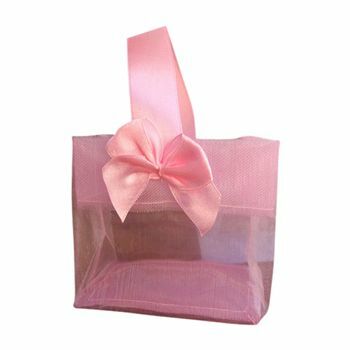 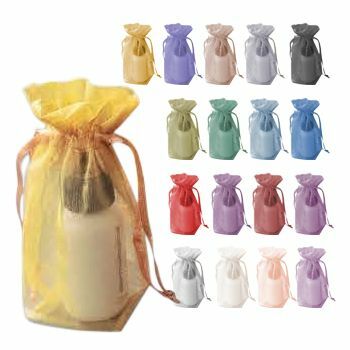 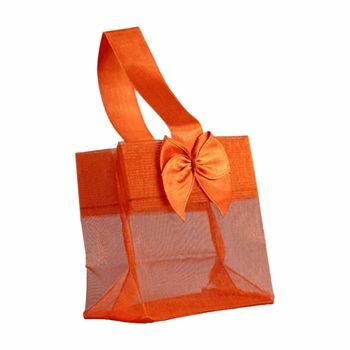 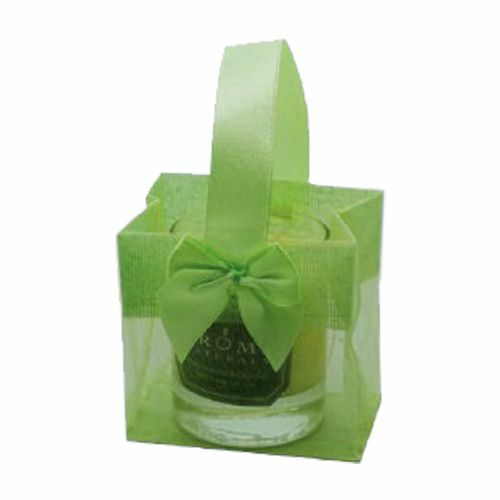 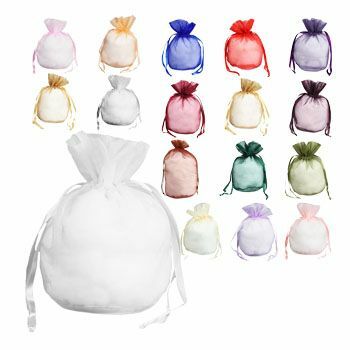 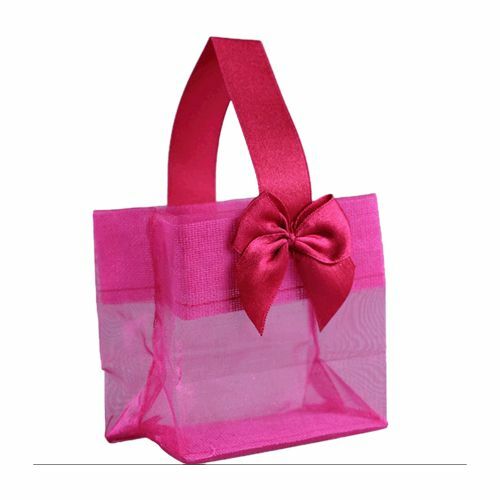 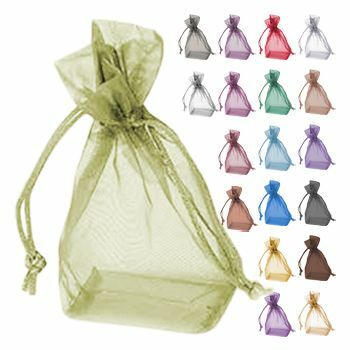 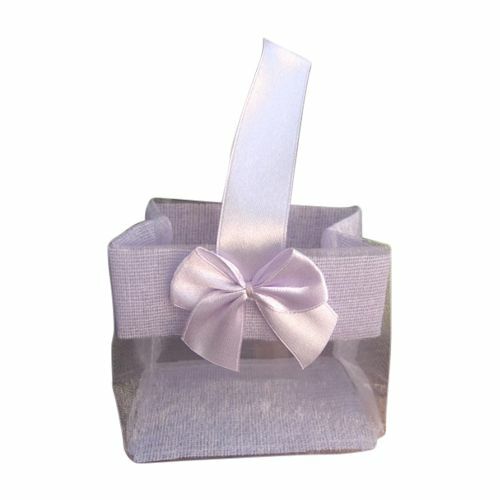 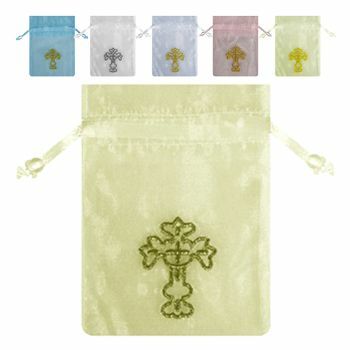 3 1/4 x 3 1/4 x 2"
The sheer mini totes are ideal for corporate events or other special occasions such as weddings, anniversaries or baby showers. 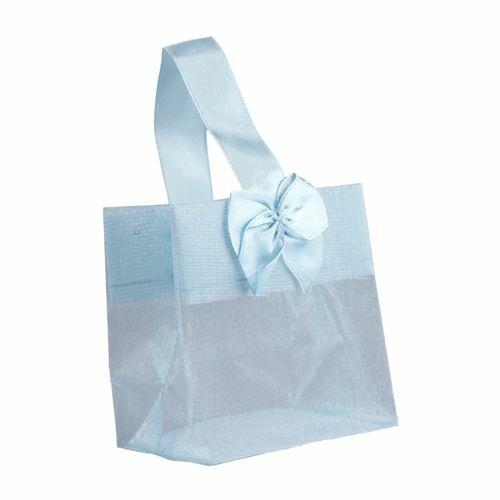 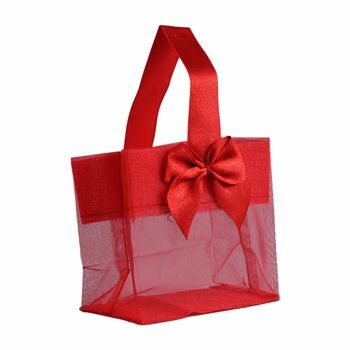 The sheer tote with satin handle is great to look at and offers a sturdy and visually appealing packaging whenever you want to create a great first impression. 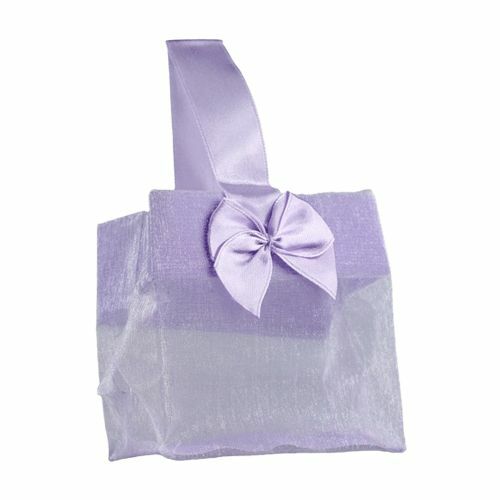 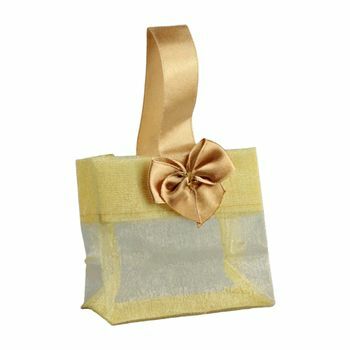 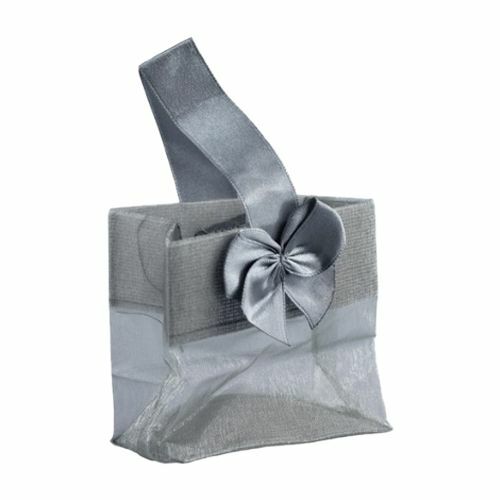 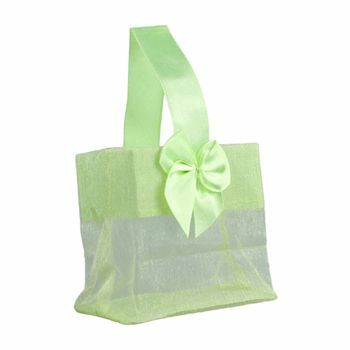 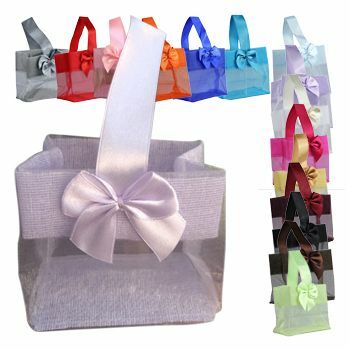 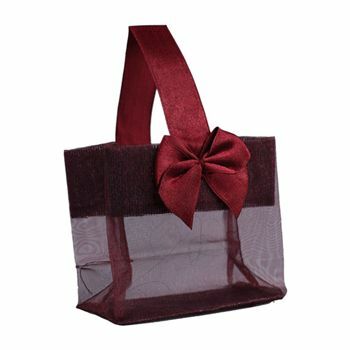 The totes come along with a matching satin handle and bow, which gives it an elegant touch. 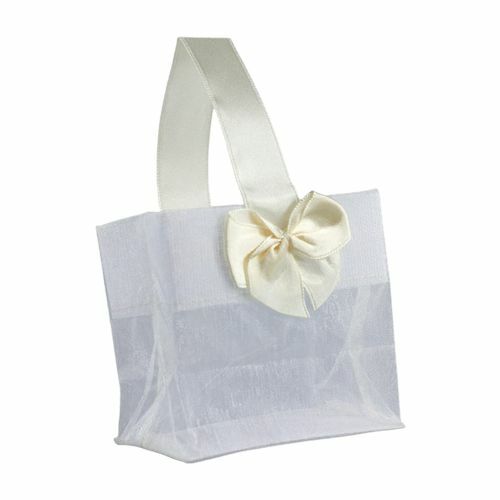 The sheer tote with satin handle has been made from high quality fabric.